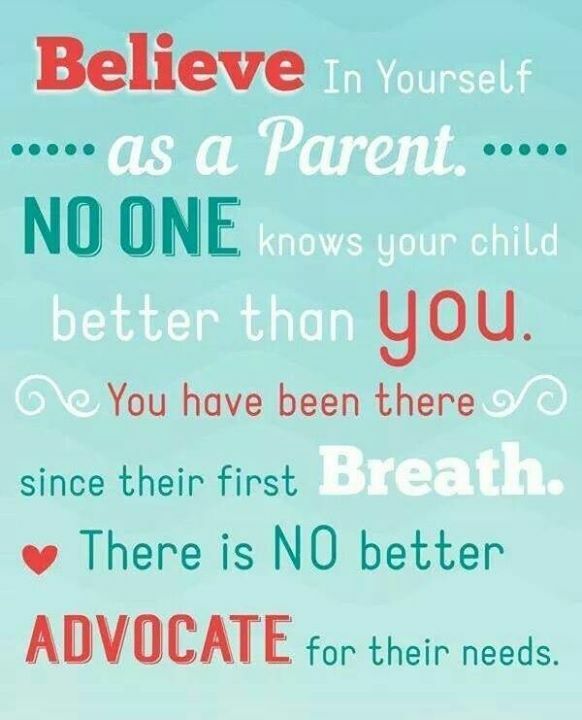 BELIEVE IN YOURSELF AS A PARENT. NO ONE KNOWS YOUR CHILD BET - ProudMummy.com the Web's Community for Mums. BELIEVE IN YOURSELF AS A PARENT. NO ONE KNOWS YOUR CHILD BETTER THAN YOU. YOU HAVE BEEN THERE SINCE THEIR FIRST BREATH. THERE IS NO BETTER ADVOCATE FOR THEIR NEEDS.